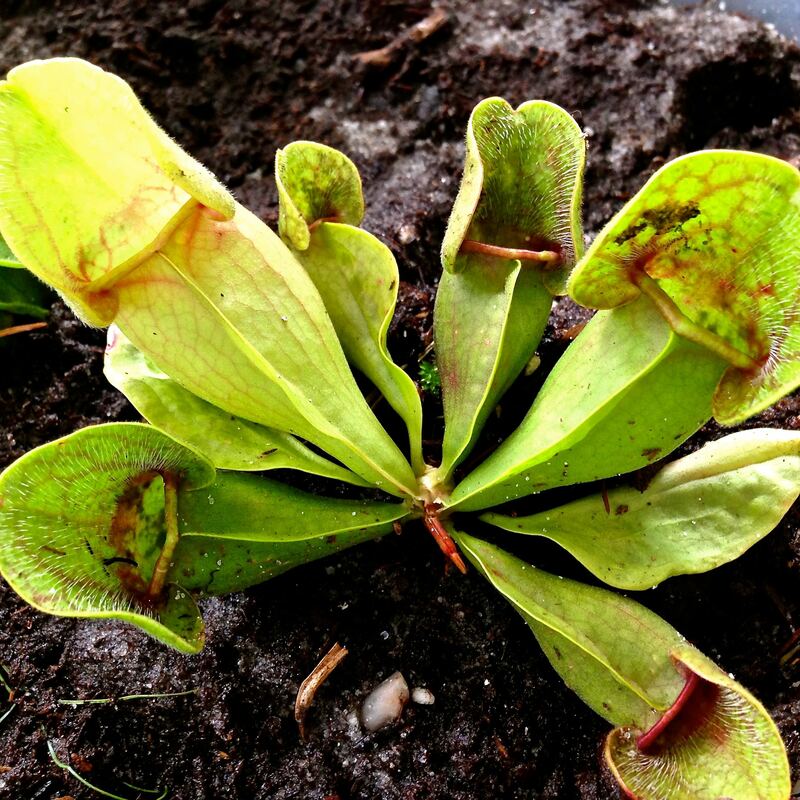 Carnivorous Plants in Alachua County | Garden Gate Nursery - Gainesville FL better selection. better advice. 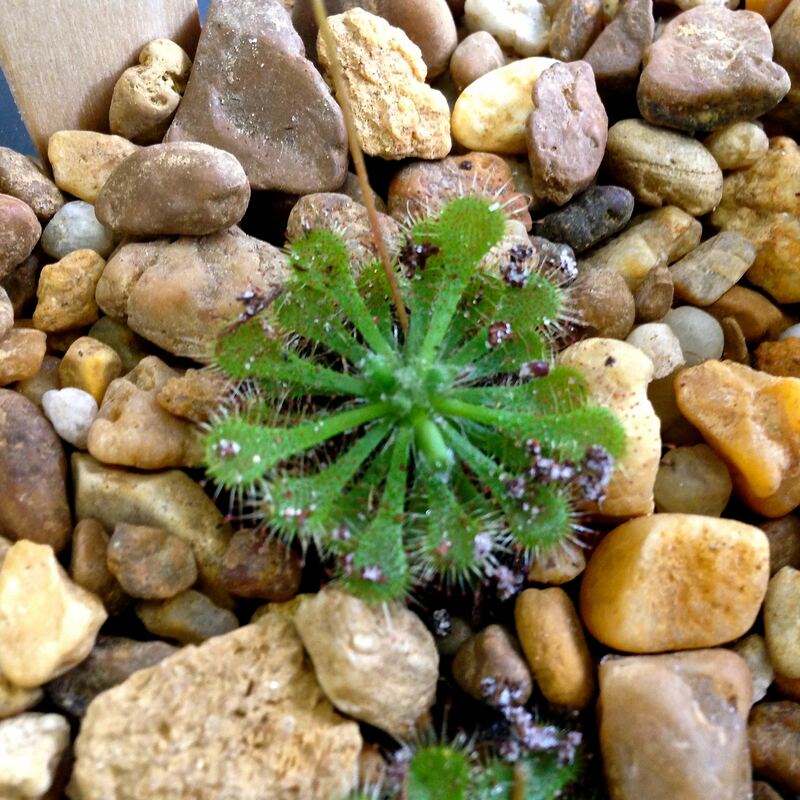 Carnivorous plants are best known for their unique ability to eat bugs. Most are grown all over the southeast because of the boggy and acidic soil that is common, especially to Florida. Grown best in a mixture of peat and sand, Carnivorous plants are fairly easy to take care of because they are never fertilized. 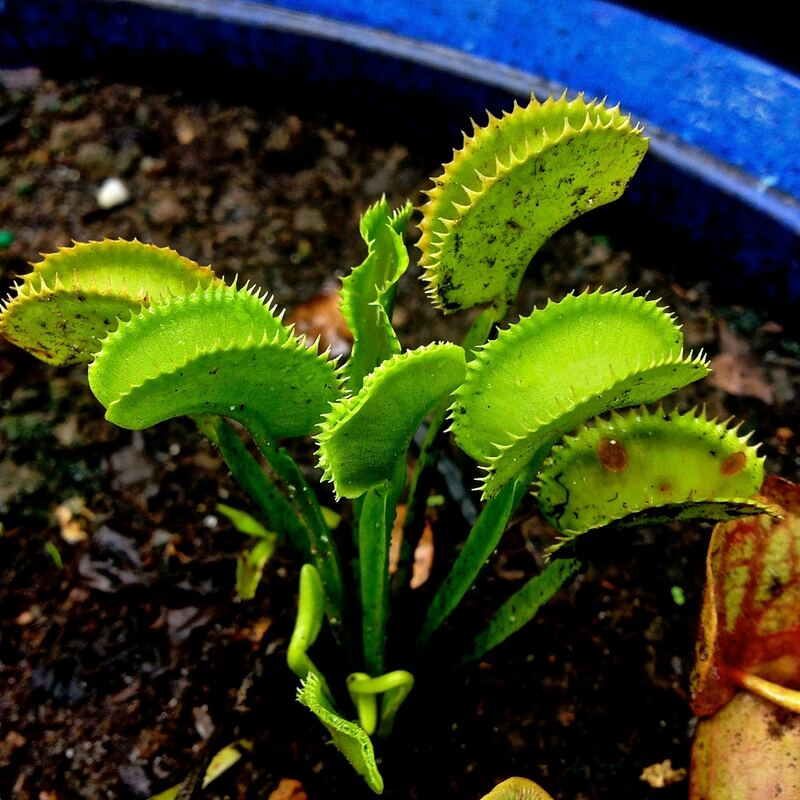 The main difficulty in growing Carnivorous plants is their water regiment; they are only able to stand deionized water or rain water because chlorinated water will kill them. 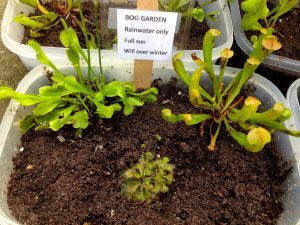 Here at Garden Gate, we offer a variety of carnivorous plants in single forms or in bog gardens. 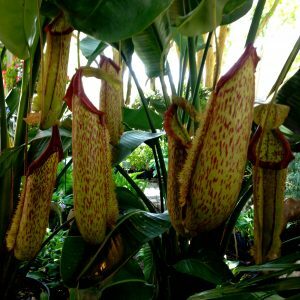 In 75% to 100% sun, carnivorous plants will thrive in your yard as well as add a unique and tropical look to your landscape. These distinctive plants are able to grow year after year but will decrease in size during the winter and come back for the spring and warmer months. These exotic plants can be found in wetlands all over the world where there is an abundance of sun and acidic soil. Come on by to Garden Gate and see our carnivorous plants. They are located on the back wall of the smaller greenhouse and on the benches in front of the registers.